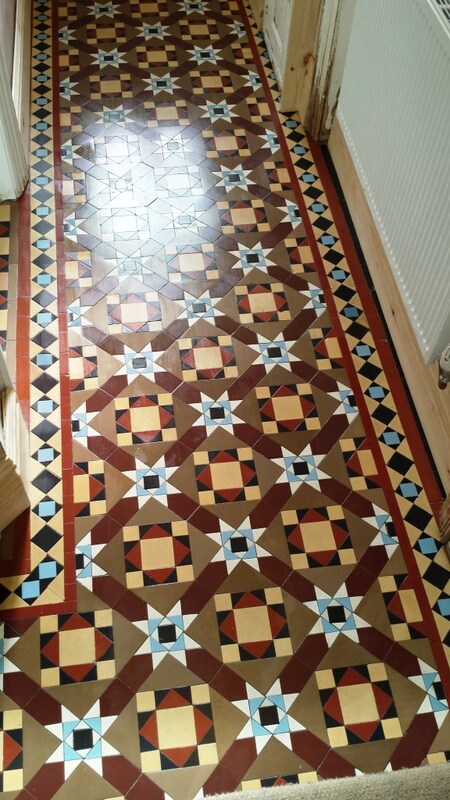 Here are the details of a job I recently completed in the town of Biggleswade, which lies on the River Ivel in Bedfordshire. 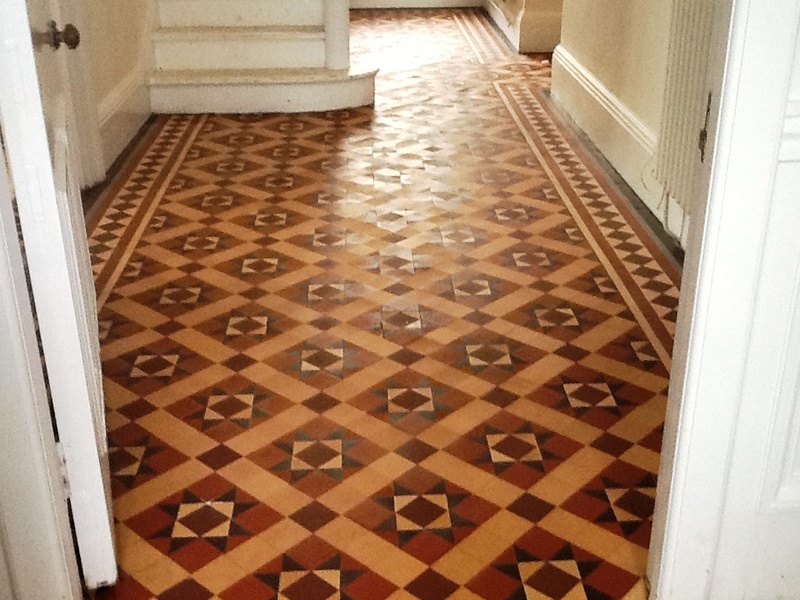 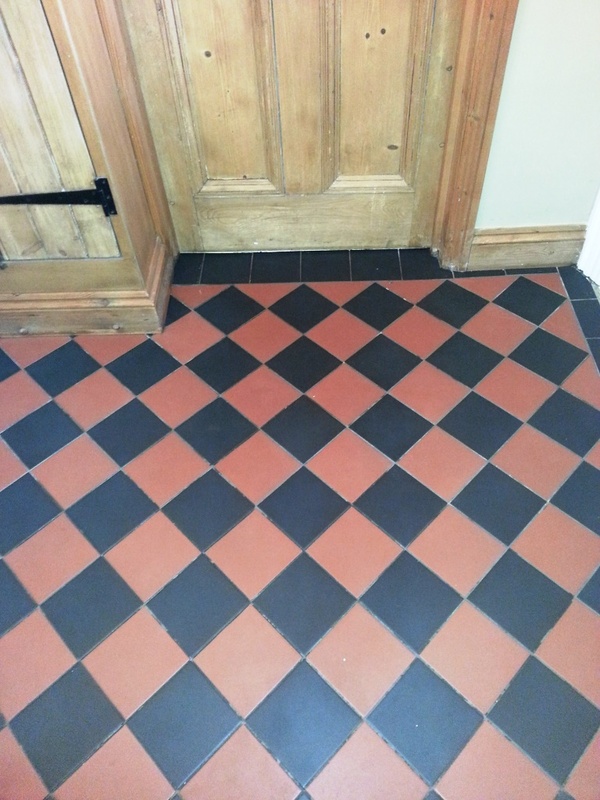 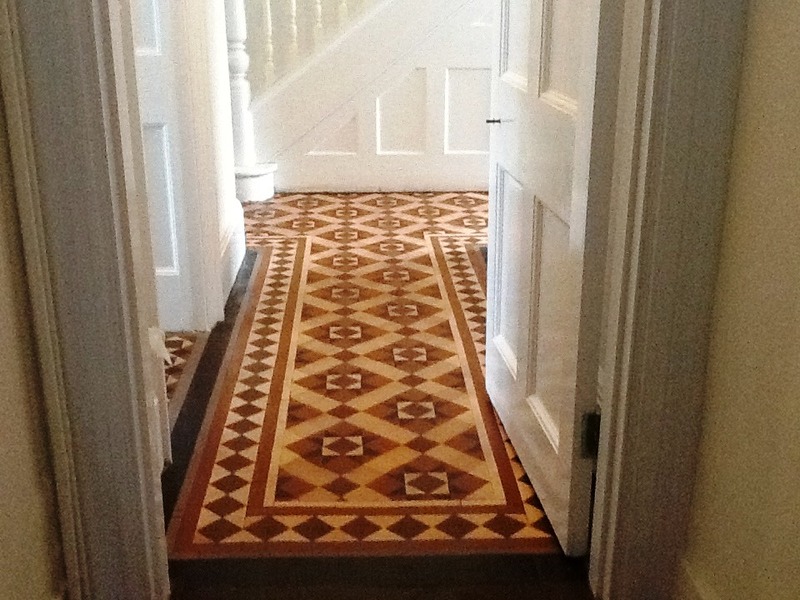 My client had a fantastic red and black Victorian tiled floor with a topical seal. 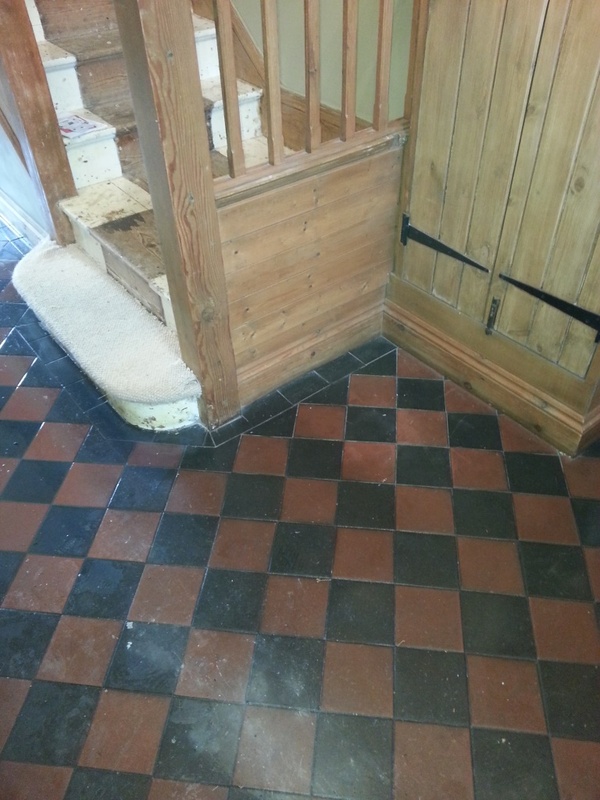 However, she also had a new addition to the family in the form of a new puppy and, as I’m sure most of you reading will know, puppies can be very messy and additionally urine contains Uric acid which can eat away at sealers. 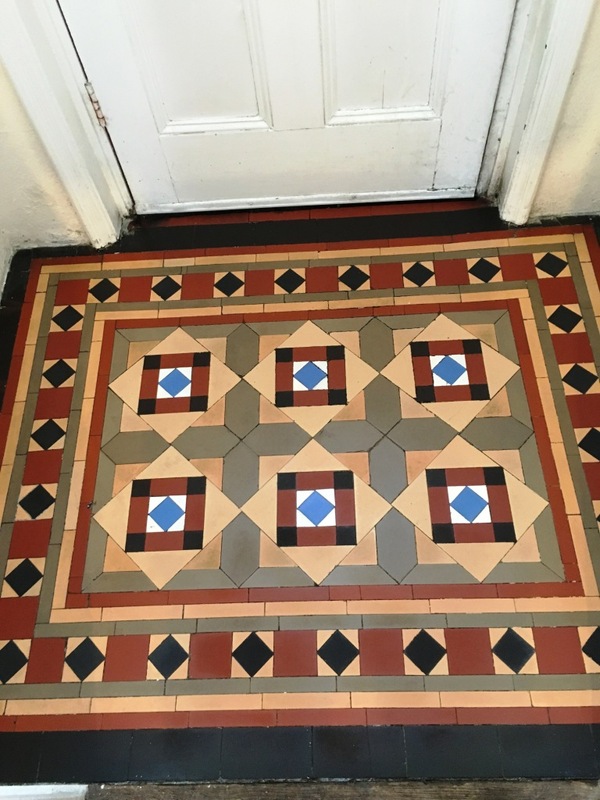 Therefore, my client asked me to strip off the old topical seal, before replacing with an impregnating sealer better suited to protect the tiles against an untrained puppy. 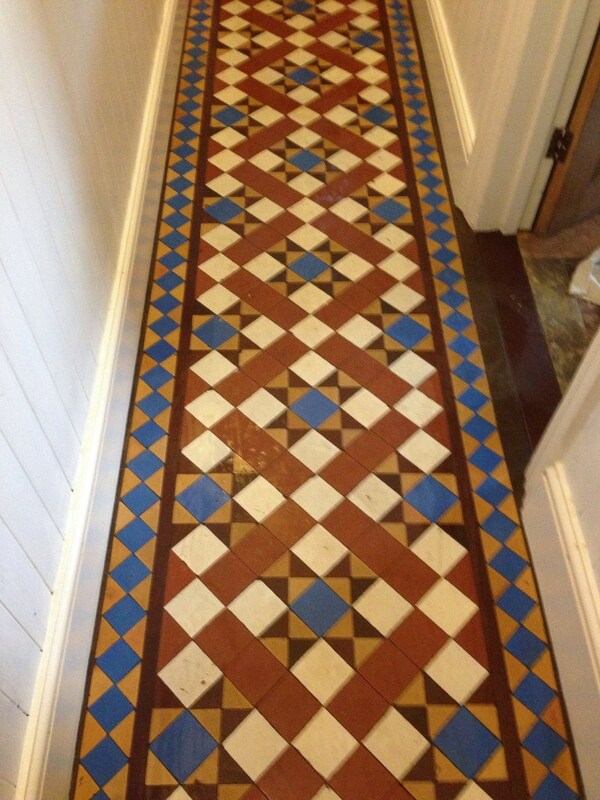 My client had been replenishing the topical seal for many years, but after discussing this decided that Tile Doctor Colour Grow, an impregnating and colour enhancing sealer, would be better suited. 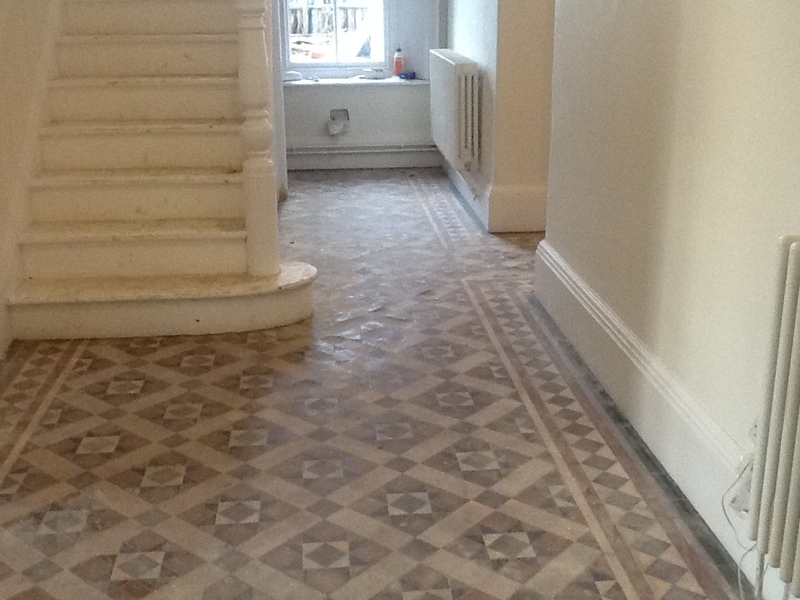 My first task was, of course, to remove the old topical sealer. 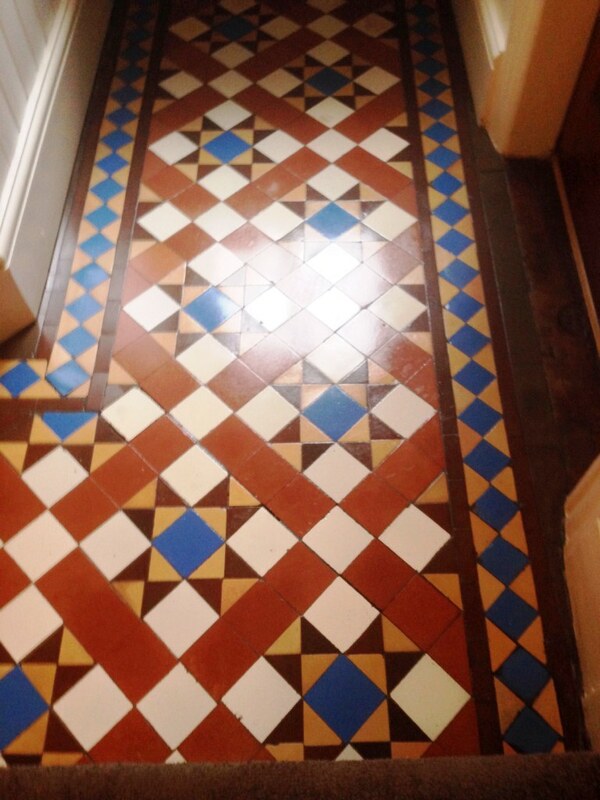 I did this using a strong dilution of Tile Doctor Pro-Clean, which is a high alkaline cleaner that when used in a concentrated form can remove sealers. 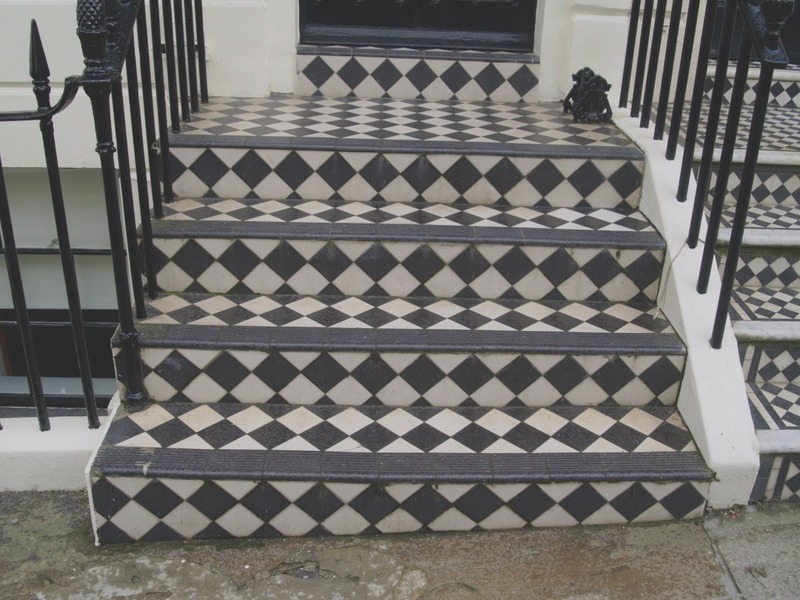 The alkaline helps to break down the sealer while also lifting out any ingrained dirt suffered by the stone. 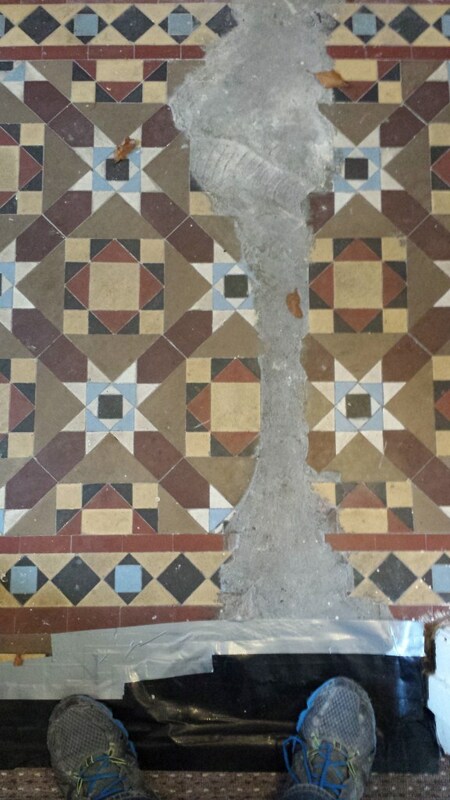 The solution was left to dwell for approximately twenty minutes before being scrubbing it into the tiles using a rotary machine fitted with a scrubbing pad. 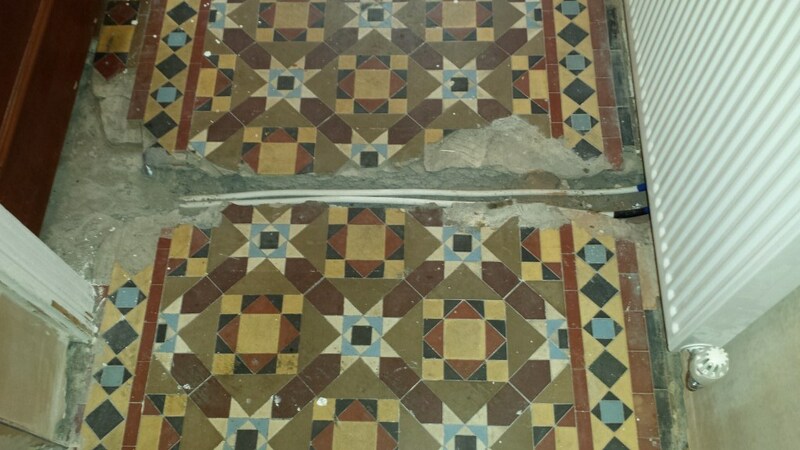 Nonetheless, after giving the tiles a rinse, I discovered evidence of an old impregnating sealer in the tiles that was also need to be removed before resealing. 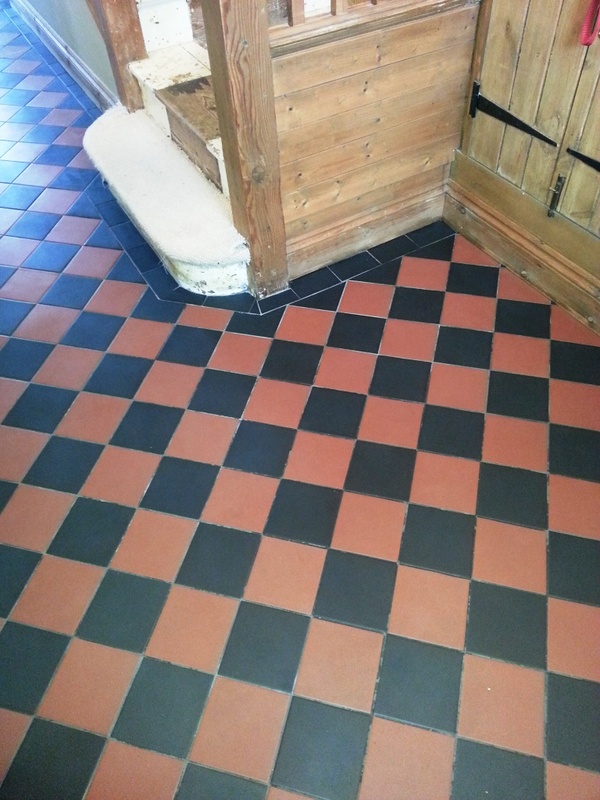 To do this I applied Tile Doctor Remove & Go which is a powerful, dedicated coatings remover which did the job although the use of a steamer and several scrubbing brushes helped with the task. 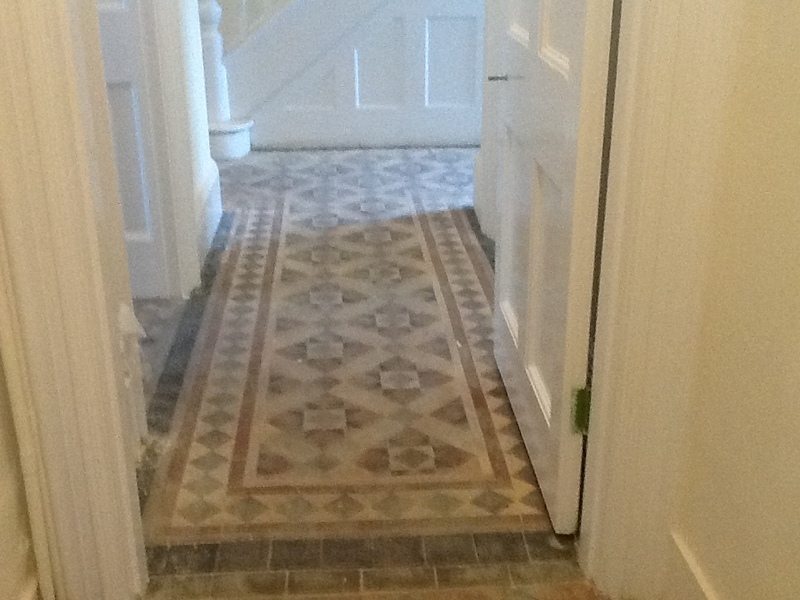 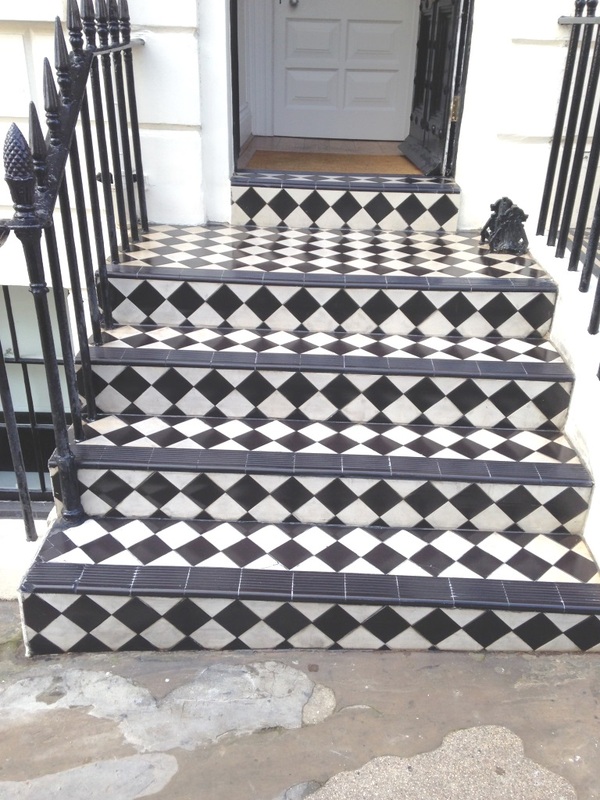 After completing the stripping, I still felt that I could improve the appearance of the tiles further, so I ran over the tiles with a small six inch Tile Doctor Diamond encrusted burnishing pad fitted to a hand-held buffer to finish the cleaning process. 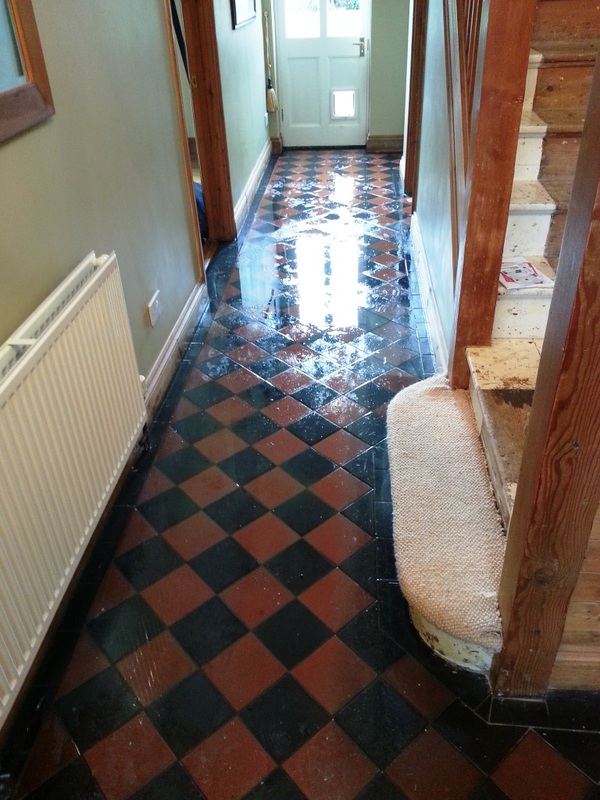 After completely the stripping process, I gave the entire floor a rinse and left it to dry for several days. 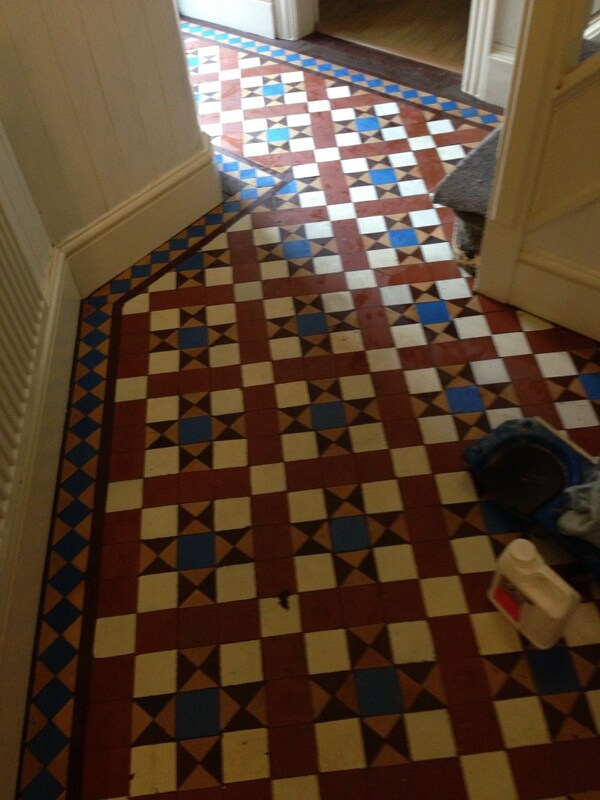 Upon my return I sealed the tiles using two coats of Tile Doctor Colour Grow. 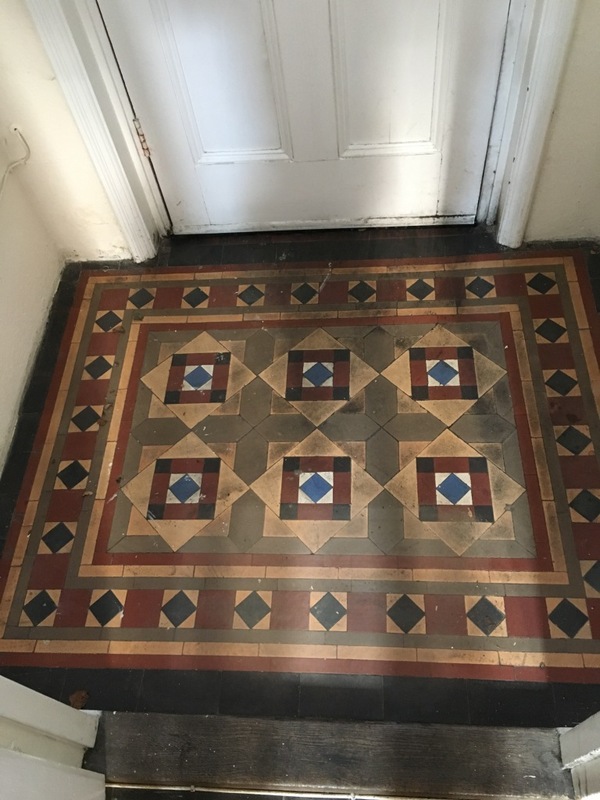 This is an impregnating, colour enhancing sealer that really brought out the shades of red and black in these Victorian tiles. 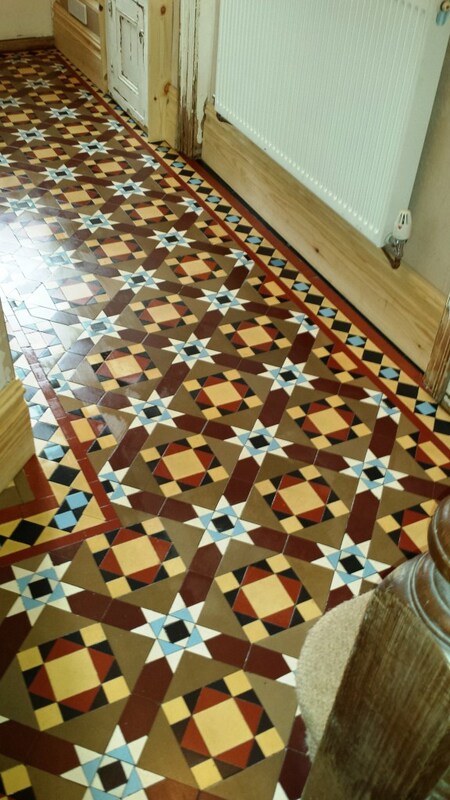 Along with Victorian tiles, Colour Grow is also suitable for use of Flagstone, Limestone, Quarry, Sandstone and Marble tiles, amongst others. 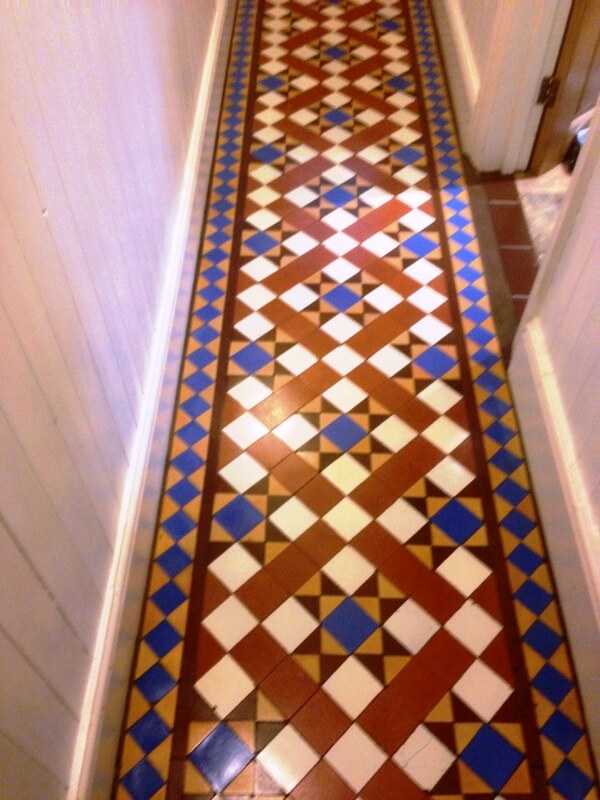 I think you will agree the floor looks transformed with the new sealer applied.